Licences for private investigators are generally issued and administered by police services in conjunction with courts in most states, however, in some states or territories of Australia this is managed by other government agencies such as Fair Trading. Shown below is information sourced from relevant licensing authorities. You should check with them as to eligibility and procedure. In most instances the issue of a licence is directly dependent to you taking the Certificate 3 in Investigative Services course through a registered training organisation (RTO) such as ASSI or by TAFE. The rules vary between states and territories in Australia. The ACT does not yet require private investigators to be licensed, however, plans are underway toward licensing. The reality is that insurance companies and other organisations prefer to deal with licensed private investigators and therefore it is recommended to obtain a licence under NSW legislation. If you are contemplating applying for a licence, take the time to consider the licensing requirement which are very comprehensive. What offences disqualify you from holding a licence? In the case of a Master licence holder, an application may also be refused if the licence holder, close associates or company named on the application has been found guilty of any of the above offences. Private investigators obtain licences from the local courts under the Commercial and Private Agents Licensing Act 1979. The applicant must be at least 18 years old, not a bankrupt and there are provisions for other persons to object to an application. Administration of licences is carried out in the Northern Territory by the Department of Business (DoB). Currently it there is no requirement in the NT to undertake a training course to be eligible for a licence. Private investigators in South Australia hold a Private Agents licenses administered by the Office of Consumer & Business Affairs, under the Security and Investigation Agents Act (1995). The OBCA provides information about licensing eligibility at their website (PDF) or contact Business & Occupational Services, Office of Consumer and Business Affairs, Level 3 Chesser House, 91-97 Grenfell Street, Adelaide. 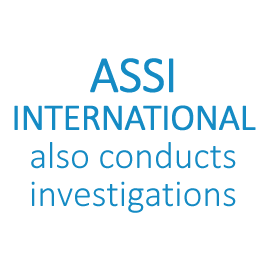 The training requirement for new applicants is the Certificate 3 in Investigative Services. For forms and full details go to the Dept of Justice website here. Private investigators in Victoria are known as Private Investigators and are licensed through the Licensing Services Division (LSD) which is administered by Victoria Police under the The Private Security Act 2004. NOTE: Licensing rules require that your Certificate III in Investigative Services must be NO MORE than 12 months old to be acceptable. Private investigators in Western Australia are licensed by the Western Australian Police Service under the Security and Related Activities (Control) Act (1996). 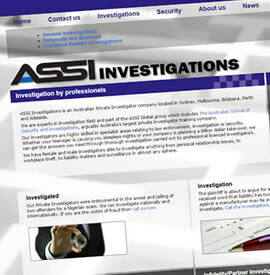 Investigator - A person who is engaged by an Inquiry Agent to carry out investigations. It's a little like the relationship between solicitors and barristers. You should find out precise information from the Commercial Agents Squad, 297 Hay St, East Perth WA 6004 or visit their website here.